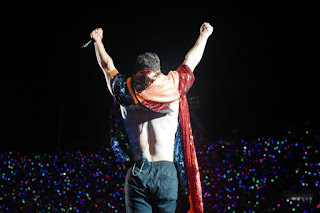 SECOND ANNUAL FESTIVAL HOSTED BY IMAGINE DRAGONS' DAN REYNOLDS FEATURED PERFORMANCES BY GRAMMY® AWARD- WINNING ARTISTS IMAGINE DRAGONS, ZEDD AND LINKIN PARK'S MIKE SHINODA, GRACE VANDERWAAL, NEON TREES' TYLER GLENN, VAGABON AND A.W. LOVELOUD Festival Powered By AT&T reached its goal of raising $1,000,000 on July 28 at Rice-Eccles Stadium in Salt Lake City, UT. This year the LOVELOUD Foundation is donating its proceeds from the festival to LGBTQ+ organizations including Encircle, the Tegan and Sara Foundation and the Trevor Project. The SOLD-OUT festival saw people coming from all corners of country, and Lt. Governor Spencer Cox read an official proclamation from Governor Gary Herbert that declared July 28, 2018 "LOVELOUD Day" in Utah. Hosted by Imagine Dragons' Dan Reynolds, LOVELOUD Festival Powered By AT&T, featured sensational performances by Grammy® Award-winning artists Imagine Dragons, Zedd and Linkin Park's Mike Shinoda along with Grace Vanderwaal, Neon Trees' Tyler Glenn and A.W. Stand-up comedian, actor and writer Cameron Esposito brought the house down as she performed and emceed the day's festivities. Apple CEO Tim Cook capped off an exceptional lineup of uplifting and inspiring speakers and performers that included actress, singer and dancer Julianne Hough, actor and singer Jussie Smollett, Ellen Show star Kalen Allen, Tegan Quin of Tegan and Sara, Grammy-nominated songwriter Justin Tranter, musician WRABEL, singer Mary Lambert, Olympic Freeskier Silver Medalist Gus Kenworthy, actress and dancer Heather Morris, comic Dana Goldberg and singer-songwriters VINCINT and Parson James. The event also featured exquisite performances and choreography by several notable celebrity all-star dancers. A complete list of guest speakers and performers that appeared at the fest can be found below. Dan Reynolds founded the LOVELOUD Foundation in 2017 as a catalyst to bring communities and families together to help ignite the vital conversation about what it means to unconditionally love our LGBTQ+ youth. The LOVELOUD Foundation is a 501(c)(3) and offers hope to young people, letting them know they're not alone and encouraging acceptance in the home and community. It all begins with talking about, sharing and showing the realities of what LGBTQ+ teens face daily. Additionally, as part of this quest, Dan Reynolds created a documentary centered around LOVELOUD, called Believer. 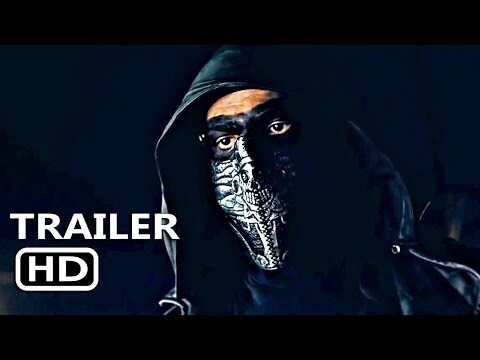 The film received runner up for the "Festival Favorite Award" at Sundance Film Festival 2018 and premiered on HBO in June. LOVELOUD Festival Powered By AT&T was live streamed in its entirety on AT&T's social media handles and in addition AT&T donated $1 for every use of the hashtag #LOVELOUD on Twitter, up to $50,000. AT&T, a longtime supporter of the LGBTQ community, recently announced a $1 million sponsorship and multi-year initiative with The Trevor Project. Together, through music and an inspiring message, LOVELOUD and AT&T share a vision of the future where LGBTQ youth are loved and accepted. AT&T's commitment to equality and inclusion for the LGBTQ community began in 1975, when the company became one of the first American corporations to adopt a policy prohibiting discrimination against employees based on sexual orientation. AT&T also has a long-standing commitment to fostering an inclusive workplace. LEAGUE at AT&T (Lesbian, Gay, Bisexual, Transgender and Allies Employee Organizations of AT&T) is one of the oldest LGBTQ Employee Resource Groups (ERG) in the nation. In 1998, AT&T adopted one of the first domestic partner benefits programs for LGBTQ employees. In 2006, AT&T was one of the first U.S. corporations to offer transgender-inclusive health care benefits. At AT&T, diversity and inclusion will always be top priorities. Lyft was the official ride share partner for this year's festival supporting the goal of raising $1 Million. Lyft donated $5 to the LOVELOUD Foundation for every ride taken to the festival, and ensured concertgoers a safe and swift pick up and drop off experience on the grounds. The LOVELOUD 2018 Festival is grateful for all sponsorships and the overwhelming support from AT&T, Lyft, official hotel partner Hilton, MGM Resorts, Lululemon, Pluralsight, Vivint Smart Home, Qualtrics Experience Management, DOMO. Lyft is also the official ride share partner for this year's festival and Hilton is the official hotel partner. The generous commitment of these sponsors can help knock down the negative and offer hope to young LGBTQ+ people, letting them know they're not alone. Dan Reynolds of Imagine Dragons Performing Live at LOVELOUD Festival 2018 Powered by AT&T. 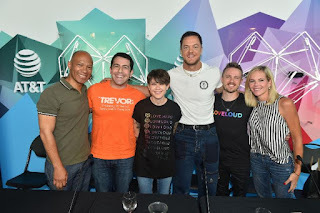 AT&T's Ken McNeely, left, The Trevor Project's Amit Paley, Tegan Quin of Tegan and Sara, Dan Reynolds of Imagine Dragons, Lance Lowry of LOVELOUD and Stephenie Larsen of Encircle onsite at LOVELOUD Festival 2018 Powered by AT&T. 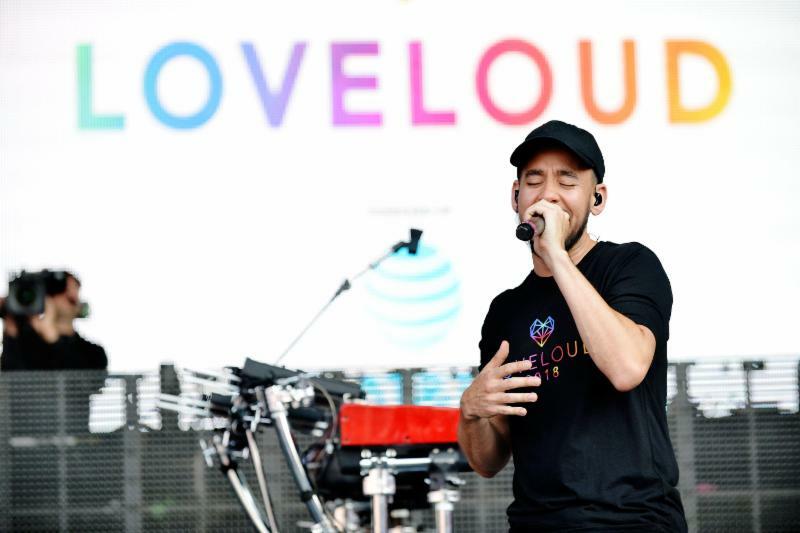 Mike Shinoda of Linkin Park Performing Live at LOVELOUD Festival 2018 Powered by AT&T. LOVELOUD was founded in 2017 by Dan Reynolds, the lead singer of Imagine Dragons, to help ignite the relevant and vital conversation of what it means to unconditionally love, understand, accept, and support LGBTQ+ youth in an effort to keep families together. LOVELOUD is the catalyst for bringing communities together to start the conversation and celebrate individuality. Talking, sharing and showing the realities of what teens in our society face daily is where it all begins. Find out more at: loveloudfest.com. We help family, friends and neighbors connect in meaningful ways every day. From the first phone call 140+ years ago to mobile video streaming, we innovate to improve lives. We have the nation's largest and most reliable network and the nation's best network for video streaming. We're building FirstNet just for first responders and creating next-generation mobile 5G. With DIRECTV and DIRECTV NOW, we deliver entertainment people love to talk about. Our smart, highly secure solutions serve over 3 million global businesses - nearly all of the Fortune 1000. And worldwide, our spirit of service drives employees to give back to their communities. ***Coverage not available everywhere. Based on overall coverage in U.S. licensed/roaming areas. Reliability based on voice and data performance from independent 3rd party data.